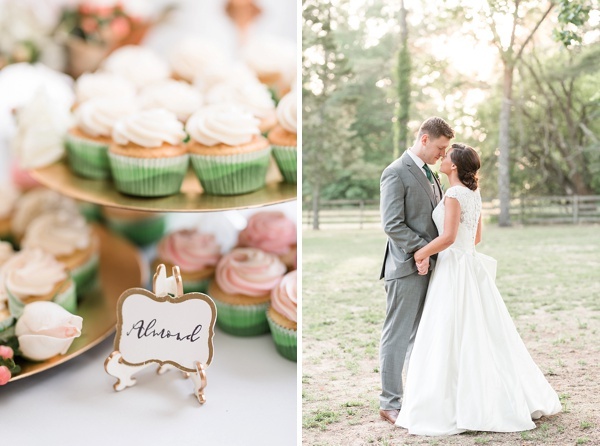 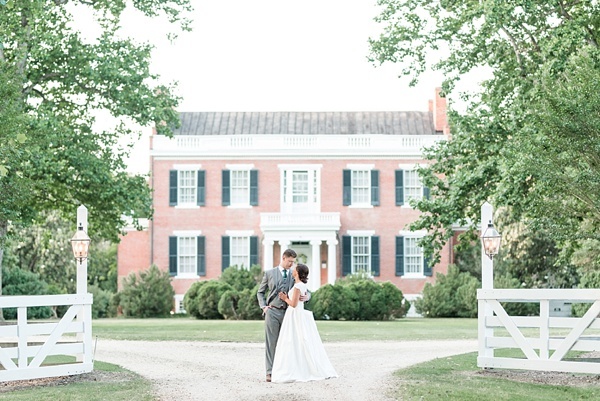 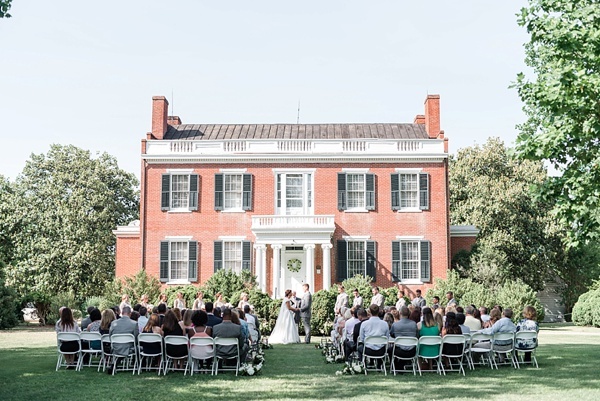 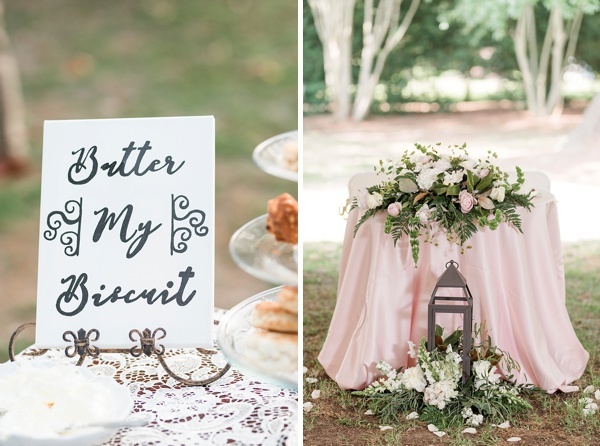 With magnolia trees all around, a biscuit bar for guests to enjoy, and a historic plantation home in the backdrop, there would be no doubt that Kylee and Sam's big day would be a gorgeous Southern-inspired celebration. 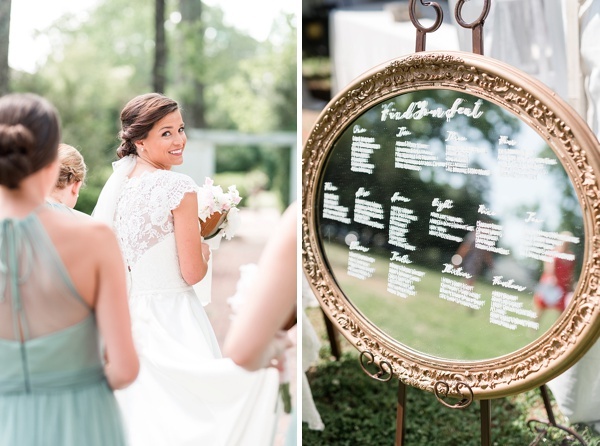 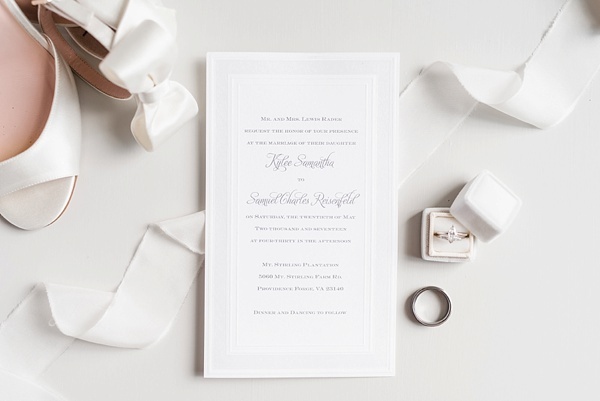 Kylee and Sam are both family people and wanted to make sure their wedding reflected every bit of that. 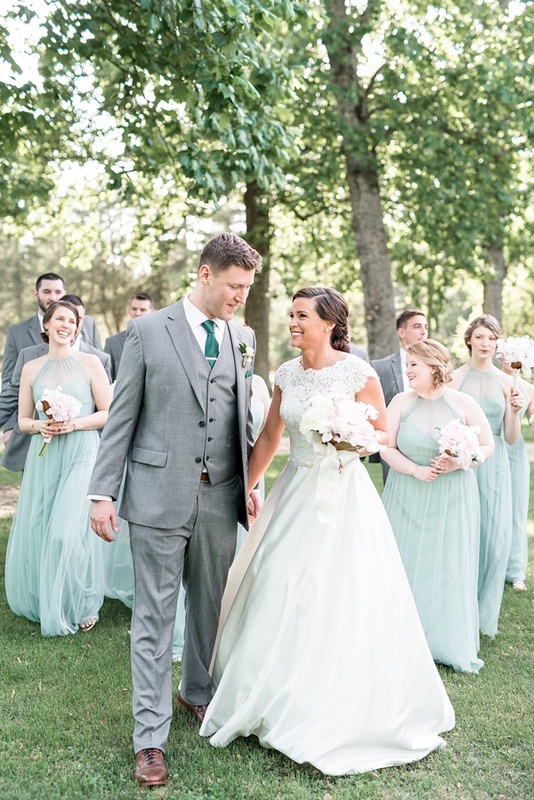 From the tears that Kylee shed when her mom buttoned up her dress to when she saw her dad for the first time to the joy that all four of Sam's siblings had for their brother finding his happily ever after, it was truly a memorable day for these two lovebirds. 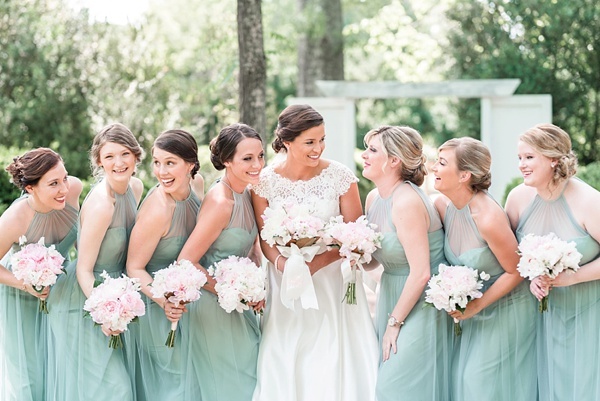 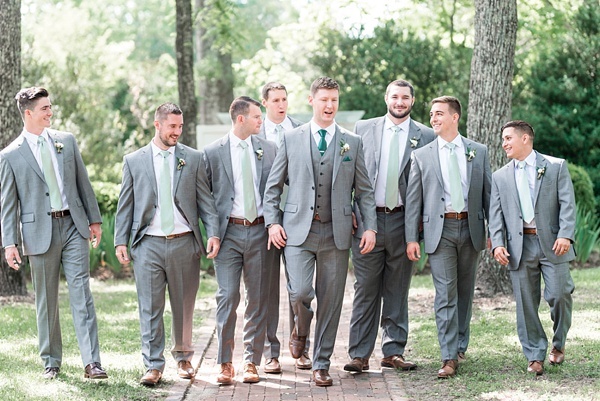 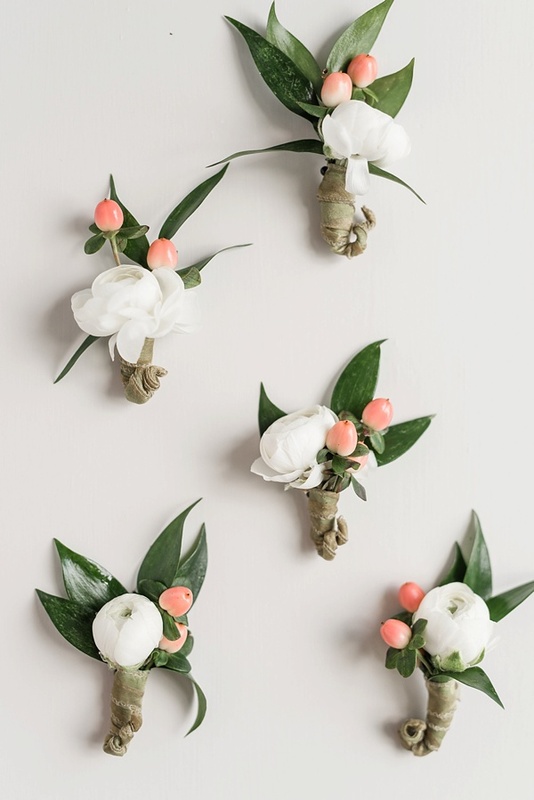 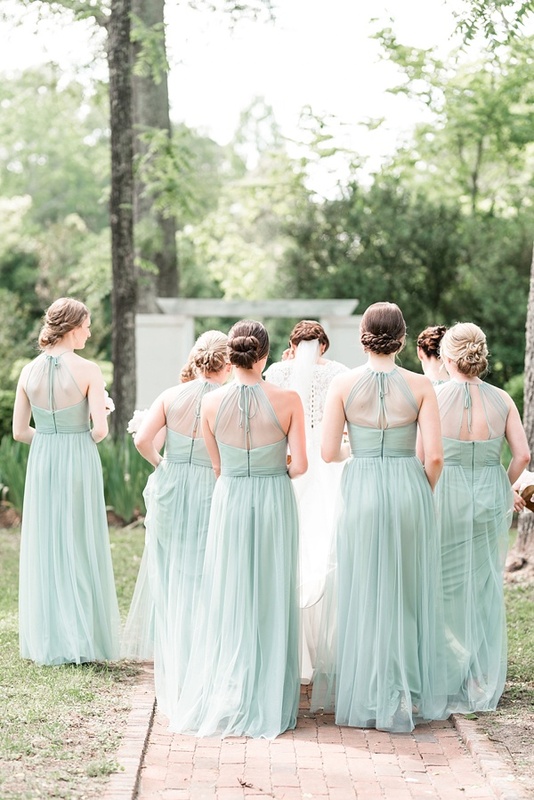 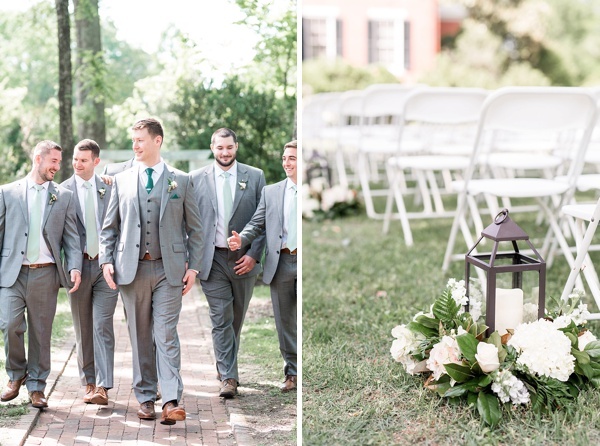 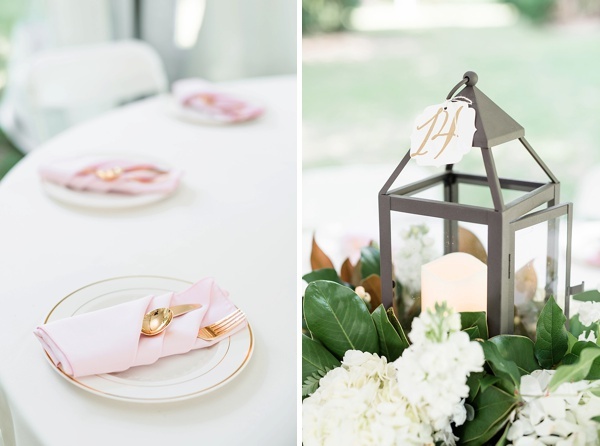 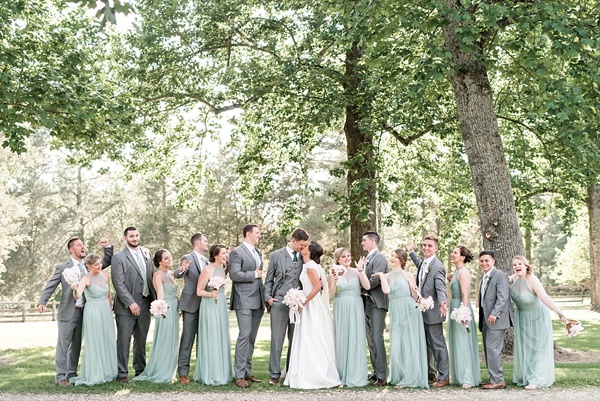 Captured by Audrey Rose Photography and coordinated by Jamie Leigh Events, hues of emerald and mint green paired with blush pink became the perfect color palette throughout the day. 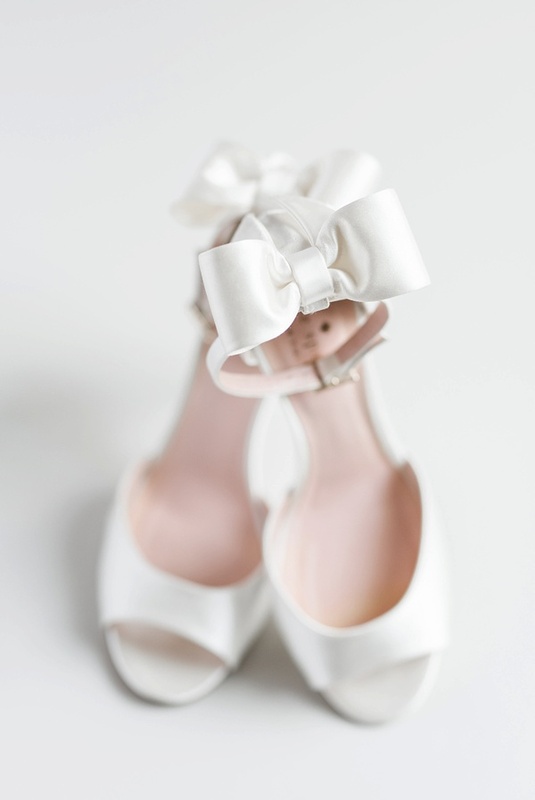 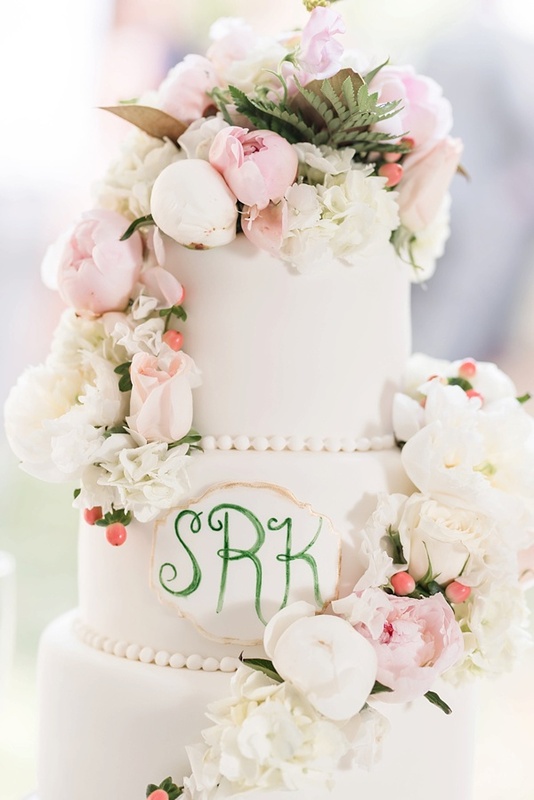 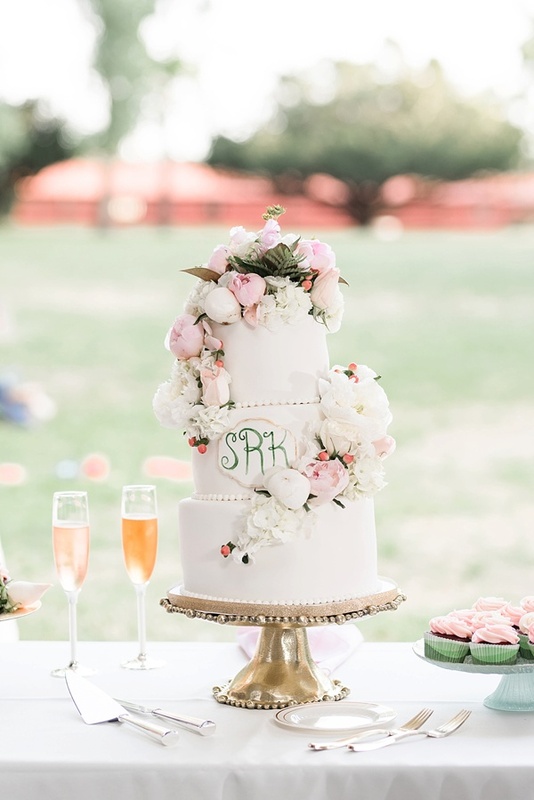 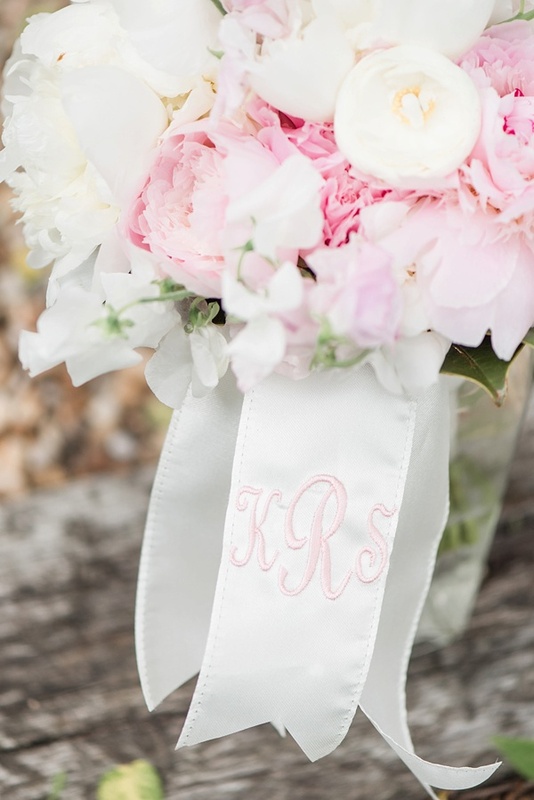 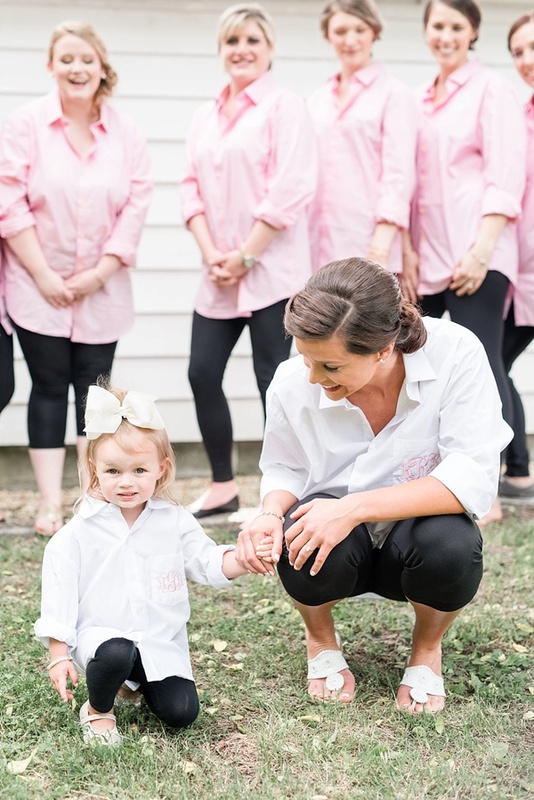 Fluffy peony bouquets, embroidered and painted monograms, a gilded mirror with white calligraphy as the seating chart, a BBQ buffet, and an adorable giant bow for the flower girl all served as the setting for a relaxing, yet chic wedding that was made just for Kylee, Sam, and their closest loved ones.